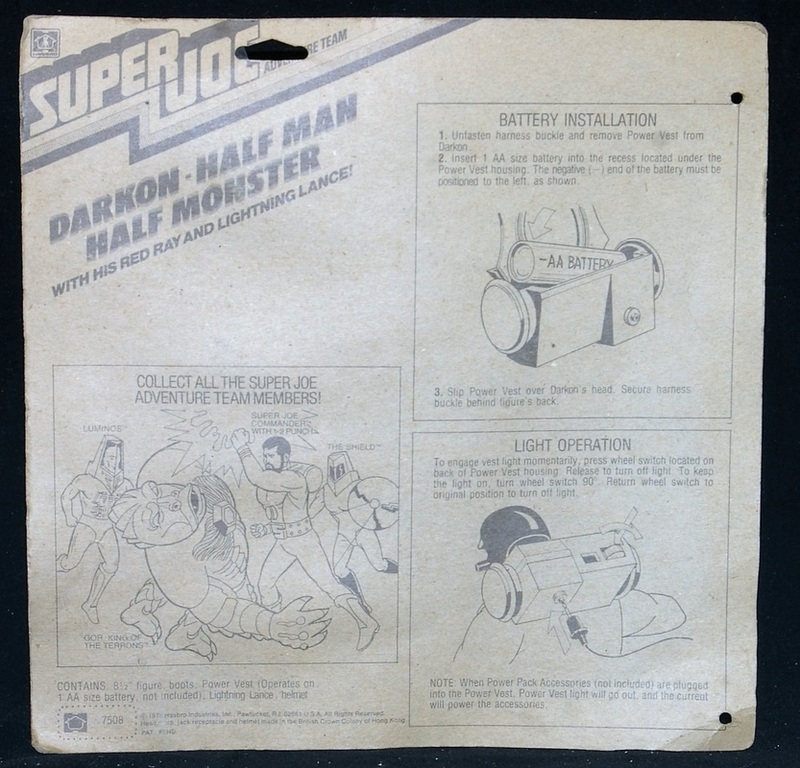 One of Super Joe’s two enemy figures Darkon - Half Man Half Monster (7508), was released only in 1978. 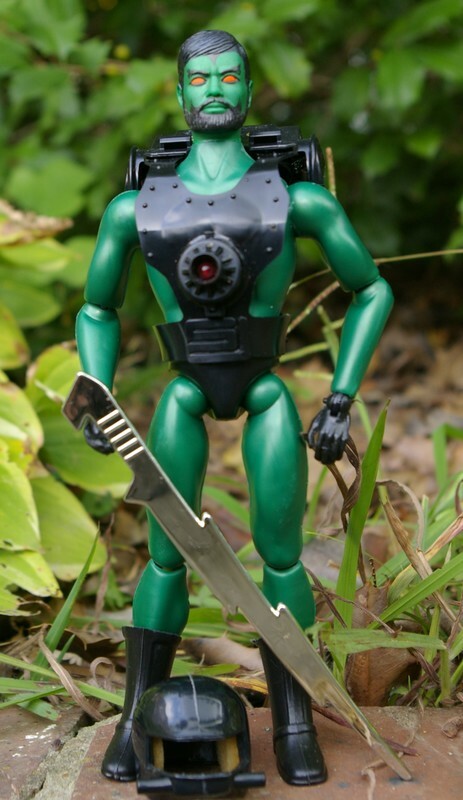 He is a Super Joe Commander figure molded in green plastic but without the “1-2 punch” feature. He has evil yellow eyes with sinister arching eyebrows. Darkon’s trunks are molded in black. He does come with the helmet from the Treacherous Dive set molded in black and missing the eye shield, black boots, a black power vest with a red light (apparently red was Hasbro’s go to evil color), and a chrome plated “Lighting Lance” silver sword. The black helmet and power vest are great looking accessories and look great when combined with some of the other Super Joe uniforms. 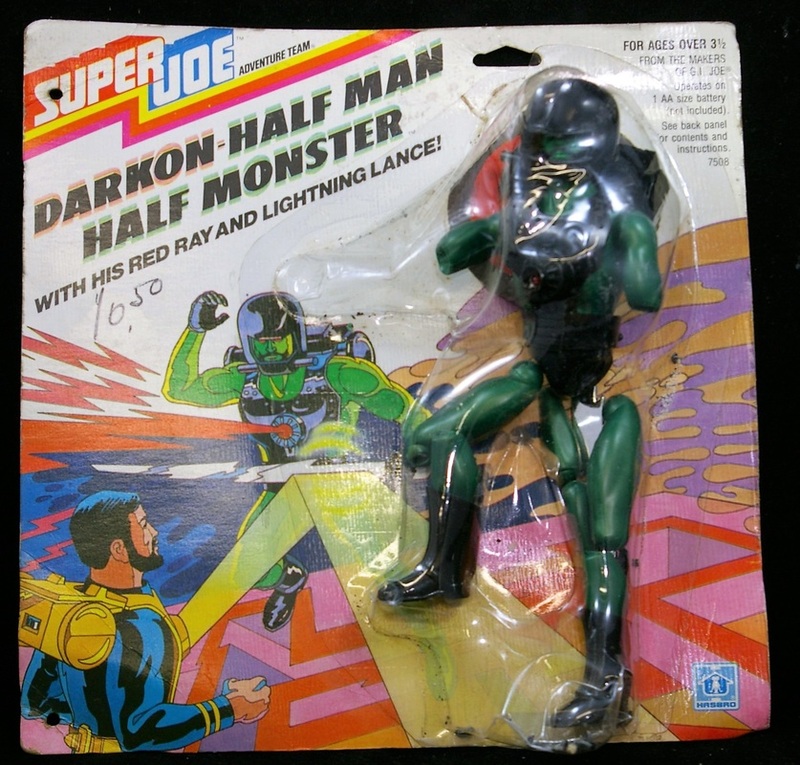 It has never been explained how Darkon became half man and half monster or why he looks like the evil twin of the Super Joe Commander.